Planet Zesstak is home to a species that have used their technology to become a unique sort of dual-bodied entities: two forms combined by a single consciousness. Unfortunately, the rulers of the planet are violent dictators intent on conquering other worlds, so this fascinating technology is primarily used to create soldiers sent to other planets. The tradition is to send a single soldier to a world targetted for invasion, one of a their forms being a shape known to be successful on the target planet and the other to be a flying serpent creature. If the lone soldier finds the planet worthy of conquest, and can beat the locals into a weakened state, a much larger fleet is sent as a follow-up. The Zesstak species has gone to war with several other species, and when they’ve won, they’ve wiped those species into extinction. Krytag is a Zesstak soldier who has been sent to Earth as an invader and was featured in a Supervillain Sunday post. Emmernan is a young Zesstak soldier being groomed for a trip to Earth, as a replacement for Krytag. The Zesstak government has grown impatient with Krytag, who seems more interested in battles against Earth’s superheroes than in furthering the invasion of that world. Emmernan has been given a similar humanoid dual-body is being given all Krytag’s reports on the planet and its occupants. His mission will be not only to neutralize the human heroes, but also Krytag himself, who is now considered a liability. 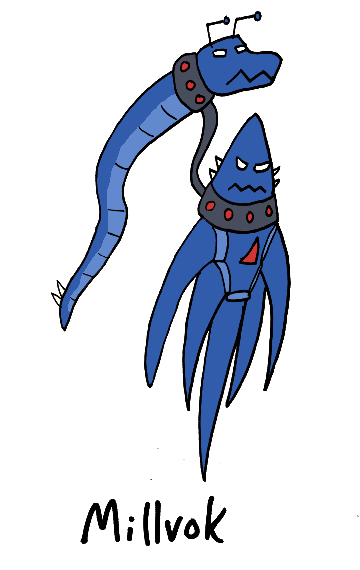 Millvok is the Zesstak soldier sent to scout the Pllvm homeworld. 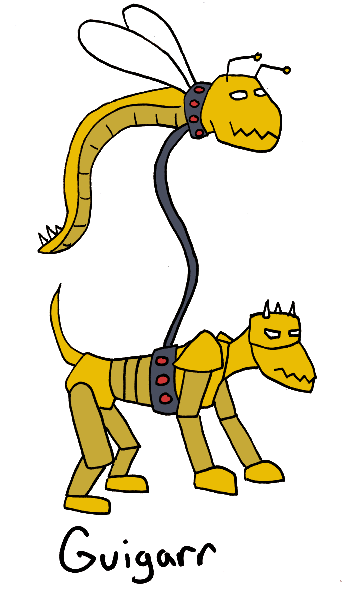 Millvok has been captured (one of the six aliens who have attacked Bubllpub), and is now held in the planet’s most significant prison. 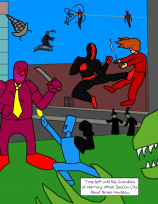 As the Pllvm have recently entered into contact with other species, they are discussing what to do about Millvok among their diplomats, but all Millvok wants to get out and kill in the name of Zesstak. Guigarr is not currently assigned to any world as an invader, but is one of the thousands of soldiers being trained as an part of the invasion force to be sent in once one of the scouts has accomplished enough for a follow-up team to be sent. Guigarr’s four-legged form is designed for hunting down fleeing targets. The training for this kind of soldier focuses less on intellect and strategy and more on breeding an indiscriminate hatred of other species. In Guigarr’s case, this has been wholly successful. 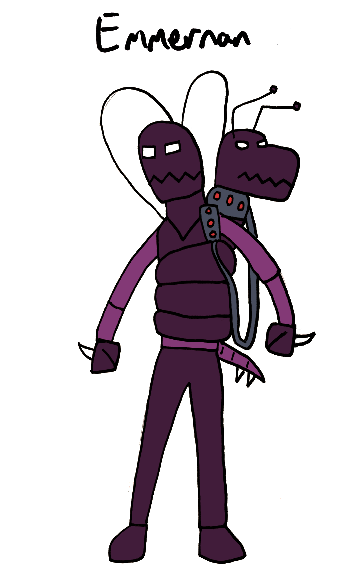 A Fact About the Zesstak: The rulers of the Zesstak government, and some of their non-altered citizens, are still dual-beings connected by tethers, but both halves of their being resemble the flying serpent form, albeit less armored. Presumably their original forms, before the use of their modern technology, must have in some way resembled these.